No, they won't come just because you built it, and no, growth hacking is not synonymous with 'black hat' SEO. "Growth hacking" has become such a popular buzzword -- used by so many people (who often know a fair amount about growth but usually very little about hacking) -- that certain myths have become attached to the term. There is no ultimate blueprint, road map, template, checklist or rulebook to growth hacking. While examples such as Airbnb, Uber, Dropbox et. al provide nice case studies to list in blog posts, more often than not, successful growth-hack strategies and tactics work once -- and only once. The good news, however, is that there's no shortage of growth-hacking best practices. You can discover them by perusing articles posted in the Growth Hacking section of Entrepreneur.com, over at GrowthHackers.com or a via a gaggle of recent books on the subject. Bottom line: Growth hacking is as much about attitude (curiosity, playfulness, empiricism) and capability (willingness to code, to get one's hands dirty, experiment, fail, adapt and reiterate) as it is about replicating the methods already used in specific instances. 2. They will not come just because you built it. While it's not theoretically impossible for a great software startup to go from zero to infinity on the basis of its organic marketing efforts alone, the odds of this happening materially diminish each day as the massive user platforms (I'm talking about you, Facebook) continue to constrict organic reach in order to attain their own growth metrics. In the early days of the web, it was much easier to build scale, to rank on the front page of Google or just stand out in the feed. Today, do you really expect your world-ruling app to stand out in the app store without some kind of marketing push? Or to dominate Google by "outsourcing your SEO"? I didn't think so. My point here isn't that attempting to build products with built-in users isn't obsolete. But, unless you've got some kind of marketing budget in place to strategically push your product, you'll be running handicapped in a very competitive race. Remember: You're competing with a wily group of growth hackers! 3. Great products don’t sell themselves. This myth, a corollary of Myth 2, is likely an unwanted, unconscious byproduct of the feature-obsessed, engineering focus of so many software startups today. Yes, we know your code is beautiful. But even the best, most innately viral software needs to be discovered; otherwise, the dream of deploying a "perpetual motion conversion machine" will remain in your head. Measure this data, analyze what’s working and then optimize. Repeat as necessary. "Black hat" refers to aggressive, often under-handed SEO strategies. Yet just because your strategies and tactics are incomprehensible to your standard Wharton-educated CMO doesn't make them disreputably black hat. (If there's anything truly "black hat" and flat-out illegal, it's the way Madison Avenue agencies habitually (allegedly) use media rebates from big brand budgets to line their own pockets. Sure, growth hacking often means using legal loopholes (Uber), reverse engineering (SEO), algorithmically generated anti-competitive tactics (Google) and other tactics that may or may not be morally honorable. But these tactics are part and parcel of the envelope-pushing hacker ethos, which doesn't wait for a tactic to be validated by the establishment before it's deployed. 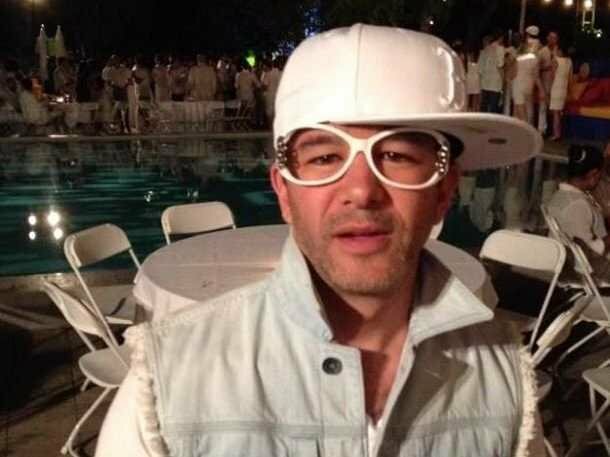 (By the way, if you're interested in the color of the hat worn by Uber CEO Travis Kalanick, all I'll say is it isn't black). 5. It’s not all about acquiring 'new' users. Growth hackers know that existing users are always the best place to look for new users. Uber's strategy reflects this stance perfectly. It's all about personal referrals, word of mouth and unpaid referrals. Put another way, "Leaky buckets don’t need more water, they need their holes fixed." Which means that a lot of growth hacking isn't that radical or revolutionary: It's about paying attention to what your best customers want -- and giving them more, so they'll serve as trusted, reliable PR mouthpieces. Andrew Chen -- one of the first to really define growth hacking -- suggests that action and experimentation lie at the essence of the term. Unless you're actively probing, testing, learning, optimizing and failing, you're just "talking the talk." Chen put it nicely in a recent Reddit "Ask Me Anything" session. "People," he wrote, "are getting all their knowledge about growth from reading blogs, rather than actually doing the work, running the experiments and building great products.” I couldn't have said it better. Want Your Business to Grow? Complete One Material Action Per Day!